This window gives you complete details of the server you are connected to in a tree format. 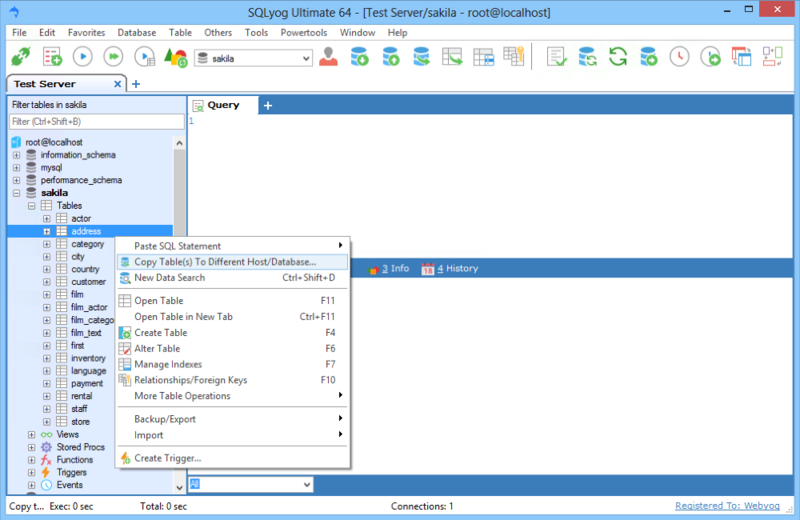 Expanding database node will show the table(s), view(s), store procedure(s), function(s), trigger(s) and event(s) in the database and expanding the table name node will show the columns and indexes available for the table. You may Show/Hide Object Browser through Ctrl+SHift+1 buttons. When you right click on any object in the Object Browser, you will get a context sensitive popup menu. The options in the popup menu allow you to perform different operations on the selected object.